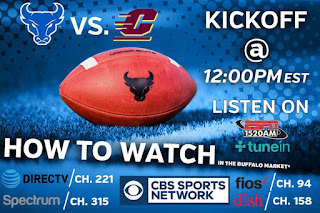 BUFFALO, N.Y. -- Saturday's University at Buffalo football game at Central Michigan University will air nationally on CBS Sports Network. To find out where it is airing in your area, click here. 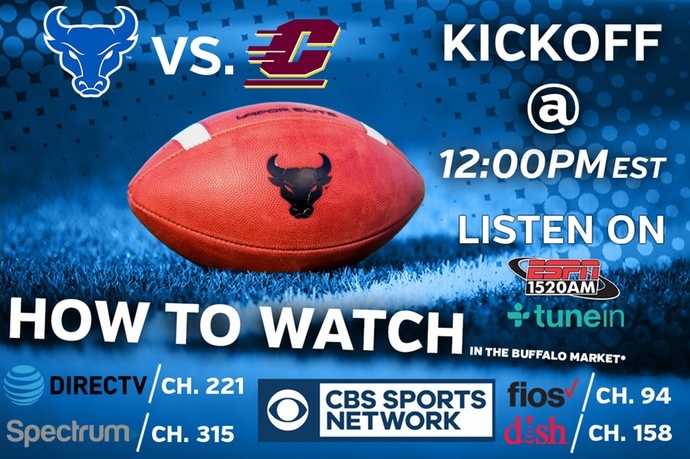 Additionally, you can watch the game online here with a cable subscription. Saturday's game at Central Michigan will kick off at 12:00 pm. Fans can also listen to the game on ESPN1520 or on Tune In.